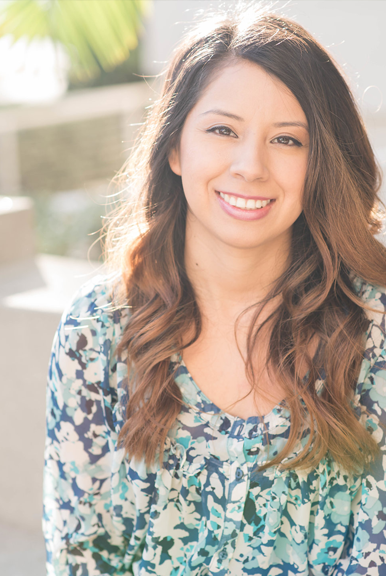 Adriana Alejandre is a Licensed Marriage and Family Therapist and speaker. She specializes in adults who struggle with anxiety, PTSD, and traumas like mass shootings, homicide attempts, assaults and more. Adriana was also a single teen mother and has an almost 9 year old son. Giving particular attention to her mental health during the birth of her son helped her realize that she was not alone, and it was her therapeutic experiences that motivated her to become a mental health professional. 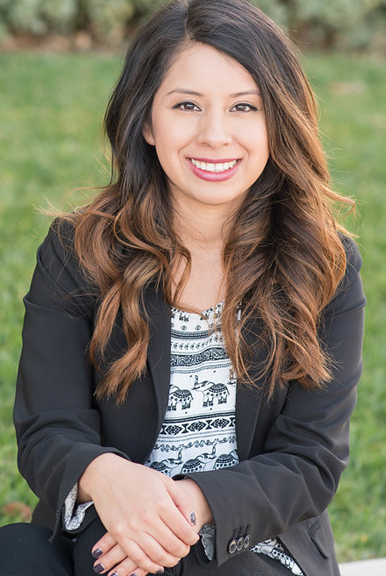 Adriana owns her own practice, Counseling and Trauma Therapy, in Porter Ranch, CA. She is also the founder of the nationally recognized Latinx Therapy, the directory and the bilingual podcast that destigmatizes mental health myths in our culture. The strength of my community & people. How did Latinx Therapy come to life? Latinx Therapy came to life in April 2018 after I had personally been feeling frustrated with the lack of resources for my clients and myself. I wanted to provide some things for my clients to listen to while driving, or even to read something that they related to, and I found nothing clinically interesting for their needs and personalities, so I created something that many ages could relate to and learn from. Latinx Therapy began as a podcast, and quickly the need became apparent that people wanted to find mental health services, so I began working with a company to help me expand it to a directory. At this time, I was individually providing everyone who reached out to me 3 referrals. I was doing so much research and wanted a place for them to go to so they can search through the filters and find someone for them. This is how the directory came to life 7 months later after a lot of website customization. Latinx Therapy is a national community project that runs with the support of our people and supporters. What services do you offer at Latinx Therapy? Latinx Therapy has many services. People can find a bilingual therapist or psychologist within their state that has culture specific specialties such as English-Speaking Anxiety, Immigration Evaluations, Acculturation and many others. There are also recommended podcasts, apps, YouTube channels, self-help books and downloadable educational material in both English and Spanish. The website as a whole is bilingual. In addition, people can connect with non-profit organizations that have free or low-cost services for mental health, legal and educational needs. With a team of amazing volunteers, we called each agency to be sure they had a Spanish speaking person on site and verified service costs. There is also a mental health screening that anyone can anonymously take to see how they rate on certain topics. Mental Health America partnered with us to provide this screening. Our Voices is a blog on the website where we feature Latinx voices that want to share about their mental health journey. Anyone is welcome to submit through their name or anonymously. Finally, people can buy destigmatizing gear in our tiendita on the website. What would you tell someone who feels ashamed to look for help while battling with mental health issues? I like to recognize that mental health is a universal piece to being a human, just like our physical health. There is absolutely nothing wrong with you, and there is also nothing wrong with asking for help. Our culture has stigmatized therapy to the point where this is seen as a “weak” sign, but therapy is empowering and can help you build the skills you need to not just feel better but also to communicate more effectively and react differently to stressors. The shame you feel belongs to our ancestors, not us anymore. What are some of your own self-care practices? I love taking naps. Naps help to re-energize and recharge me for the following tasks that need to get done. I also love to plop on the couch and watch junky and fictional TV shows or movies. Some of favorites are Grey’s Anatomy and all the Chicago PD, Fire Department shows! Check out Latinx Therapy to learn more and listen to the podcast HERE! Looking for new opportunities in the U.S., Tatiana Pacheco emigrated to Los Angeles in 2001 from Lima, Peru. In 2013 she founded Andrea’s Healthy Kitchen out of a desire to encourage healthy lifestyle changes among friends and family. It was also an experiment to document her own personal health and wellness journey. Otra como tú by Eros Ramazzotti.